Space Safety » Archive » Engineering » Spacecraft Design » What is a Stall? A stall is a condition in aerodynamics and aviation wherein the angle of attack increases beyond a certain point such that the lift begins to decrease. The angle at which this occurs is called the critical angle of attack. 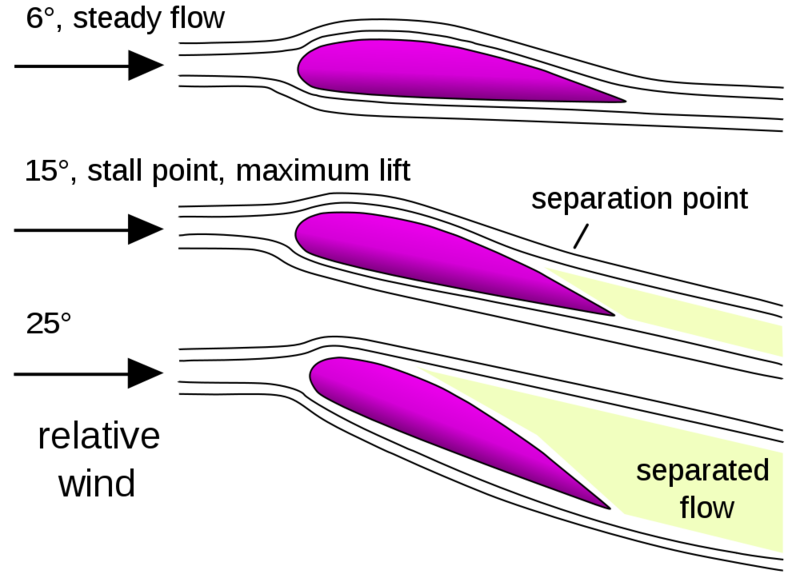 Air flow separation begins to occur at small angles of attack while attached flow over the wing is still dominant. As angle of attack increases, the separated regions on the top of the wing increase in size and hinder the wing’s ability to create lift. At the critical angle of attack, separated flow is so dominant that further increases in angle of attack produce less lift and vastly more drag. The so called spoilers that raises on the upper part of a wing at landing cause basically a controlled stall of the wing such that the airplane will be maintained firmly on ground. Depending on the aircraft’s design, a stall can expose extremely adverse properties of balance and control, in particular in a prototype. A deep stall (or super-stall) is a dangerous type of stall that affects certain aircraft designs, notably those with a T-tail configuration. 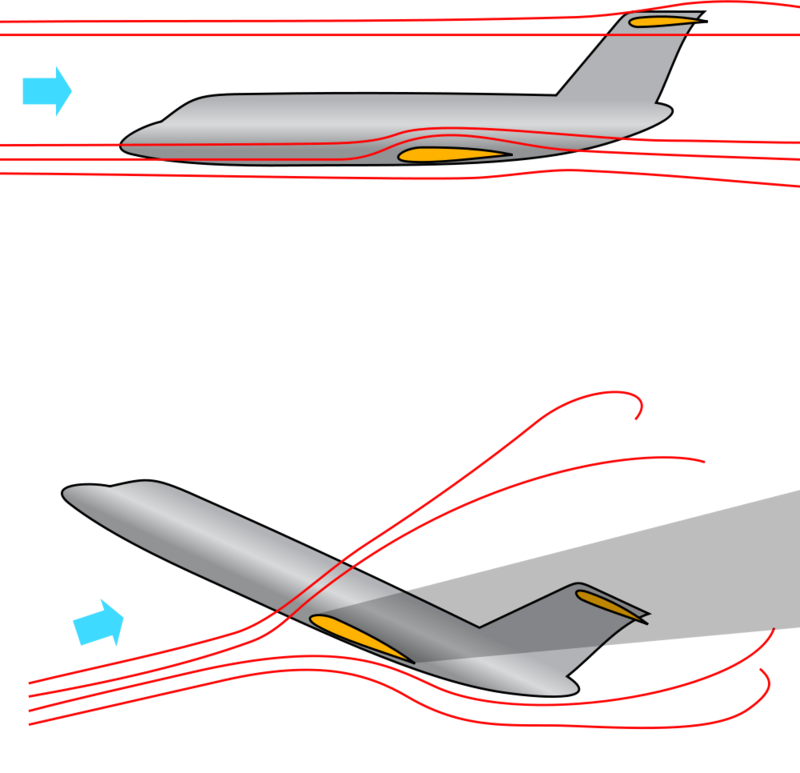 In these designs, the turbulent wake of a stalled main wing “blankets” the horizontal stabilizer, rendering the elevators ineffective and preventing the aircraft from recovering from the stall.